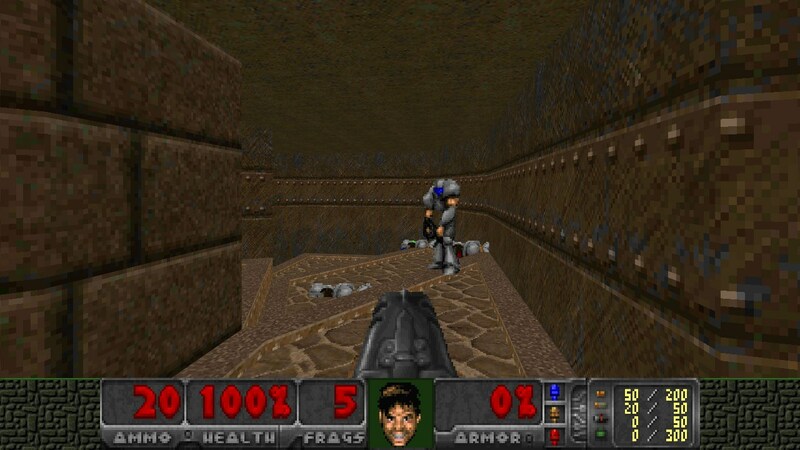 Description: A re-implementation of the engine used in the game Doom made by id Software and released in 1993. * To always be 100% Free and Open Source software. * Portability to as many different operating systems as possible. * Compatibility with the DOS demo, configuration and savegame files. can be found in the PHILOSOPHY file distributed with the source code. With Vanilla Doom there is no way to include sprites in PWAD files. playback. See the README.Music file for more details. you may have regarding the port! present; see the NOT-BUGS file for more information.